I was born and raised in Yogyakarta, Indonesia. I lived in Indonesia for the first 25 years of my live. As a Javanese, I learned classical Javanese dances since I was 6 years old and I still do it until now. Through the dance I maintained my connection with Javanese culture and identity. Yet I also want to share this culture with others through my performance, courses and research. 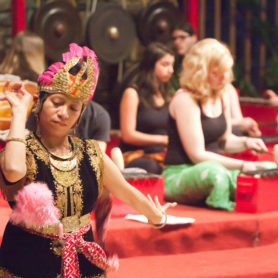 I have taught several study abroad courses to Indonesia, including those focusing on performing arts in Java and Bali. 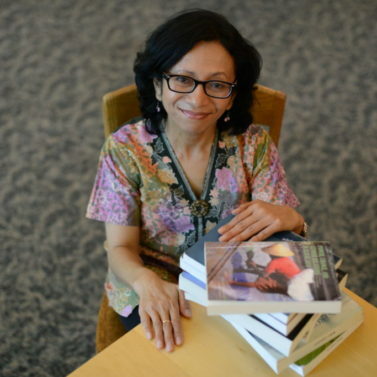 Through these courses I have opportunities to not only share my experience and perspectives but also to invite students to come to the country to directly experience the diverse Indonesian cultural elements. I strive to serve as a cultural bridge to increase awareness and decrease misleading assumptions of others and Warren Wilson has given me the opportunity to do this. Warren Wilson students are poised to learn and to expand their horizons. B.A. in Sociology, Gadjah Mada University (with honor), Yogyakarta, Indonesia. M.A. in Sociology, University of Kentucky, KY. Ph.D. in Sociology, University of Kentucky, KY.